Three hundred and nineteen participants attended seventy-six panels, eleven roundtables and six book panels. Seven recent books focused on various aspects of the Romanian and Moldovan politics, culture and society published in English, Romanian and Italian were released and authored and/or edited by Roland Clark, Marina Cap-Bun and Florentina Nicolae, Peter Gross, Petru Negură, Dragoş Petrescu, Lavinia Stan and Diane Vancea, and Francesco Zavatti. The high number of participants reflected a wide-range of disciplines as well as diverse demographics. Papers and presentations covered both more traditional social sciences and humanities disciplines like anthropology, political science, history, literature, sociology, ethnography, economics, education, linguistics, music and also newer areas of interdisciplinary studies including gender and women’s studies, media, cultural and urban studies, and transitional justice. Although a majority of the participants came from Romania and the United States, many others were affiliated with research centers or universities from Canada, the United Kingdom, France and Germany. A few came from Belgium, China, the Czech Republic, Denmark, Hungary, Ireland, Israel, Italy, Finland, France, Netherlands, Switzerland, and Hong Kong. Most notably, a small group of researchers came from the Republic of Moldova. The younger generation of scholars of Romanian Studies was well represented. Almost a third of the participants were graduate students and junior faculty. This mix of generations and disciplines was greatly valued by participants who felt it was an opportunity to establish and broaden their academic networks. Especially junior scholars found the conference a place to enhance their research projects and establish useful professional connections. For the participants’ views about the conference click here ! Besides the generous hosting of the event by the Faculty of Political Science, the conference also benefited from the contribution of several institutional partners: Şcoala Naţională de Studii Politice şi Administrative (SNSPA), Institutul Cultural Român (ICR), Arhivele Naţionale ale României (ANR), Institutul pentru Investigarea Crimelor Comunismului şi Memoriei Exilului Românesc (IICCMER), Consiliul Naţional pentru Studierea Arhivelor Securităţii (CNSAS), Centrul de Informare Turistică a Primăriei Municipiului Bucureşti, Romanian Studies Association of America (RSSA), and the Academia de Studii Economice, Bucureşti (ASE). The day before the beginning of the conference the ICR hosted two movie screenings (Searching for Maxy by Lee Dragu and Poarta Albă by Nicolae Mărgineanu). 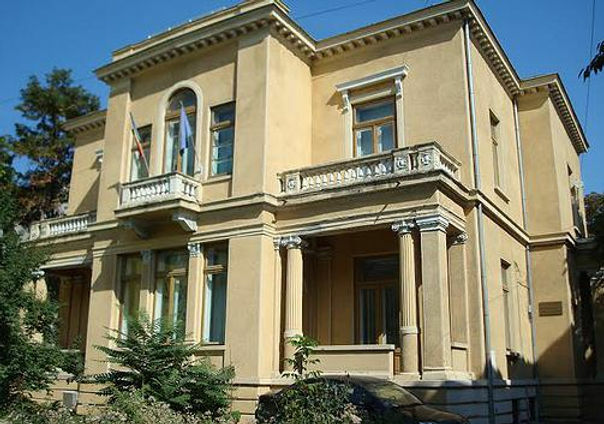 An innovation of the conference were the three organized tours sponsored by the Office of the Presidency at the Cotroceni Palace, a one-day trip organized by the IICCMER to the Râmnicu-Sărat former Stalinist prison, and a visit to the CNSAS’s secret archives of the communist police in Popeşti-Leordeni. The conference also attracted strong interest from various media outlets including Televiziunea Română, Radio France International, Radio România Internaţional, Radio Cultural, Radio Cultural, Radio Constanţa and others. Behind this extraordinary success was the one year of hard work by a dedicated committee consisting of Monica Ciobanu (chair), Margaret Beissinger (liaison with RSAA), Igor Caşu, Roxana Cazan, Valentina Glăjar, Cristian Romocea, Jill Massino, and Oana Suciu (representative in Bucharest). Many thanks to this committee and to the many friends, collaborators and partners of the SRS who made this important event successful. Let’s hope that in future similar events will take place, and Romanian Studies will continue to attract an ever larger number of talented and committed scholars! By srstudies in Conferences on June 18, 2016 .